I keep telling them that it is a wonder of sorts that we are here, so far south, on the Western Cape. A fall climate with angled sun that dissolves into cool evenings filled by the crunch of sand and scrub, and the bees riding waves of air. I look at maps and Antartica seems almost touchable. The waves here boom and roll, and though it seems terribly cold, the locals run towards the water in their wetsuits, boards held between arm and body, only pausing to navigate slippery rocks. They are mostly young, though I saw one man with gray tinting his temples and beard. He approached the water more thoughtfully than the others, but seemed more intense about the lines and waves he rode. We saw stingrays, and long slivers of salmon running, and heard tell of shark sightings. A week earlier, 40 pilot whales beached themselves near Hamelin Bay and despite locals’ efforts, perished. Up the Margaret River we went with a canoe, though we were not good at it, often drifting from side to side and frustrated by our lack of coordinated effort. We sampled strips of kangaroo, emu, and crocodile meat, and touched peppermint and tea tree bark. Leaped from a large rock into the cold river darkness. Later, we drew our hoods around our faces during evening walks along the coastline and on the beach. The clouds would roll in during the night, and I could not tell from where, and the disconcerting fact of my inability to understand much of anything, of nature, of beauty, of that endless, endless ocean, weighed heavily on my sleep. If I were a painter I would have captured the light of that morning this way: it slanted through the clouds which lingered from the previous night and dove into the morning mist that lingered over the field next to the hotel. The field would soon appear like rusted gold, but now the air above it seemed to flutter with the rising fog. We set out, making a path. The long stalks itched our legs and occasionally stung and whipped. I heard the Sport King begin to hum, an old gospel from Mahalia Jackson, and the words began to fill me up and lightened the weight of the surfboard I carried across my shoulders. After crossing the field we entered a layer of trees and a small rocky path appeared. We began to descend, and soon the path ended and dropped away. The Sport King indicated that we’d have to climb downward and motioned toward the outlines of a trail. He pointed out hand and footholds along the descent, and I could see below us a narrow wedge of stones and sand. When we had finished our descent, my hands were rough and chalky from the cliffs. The strip was too small to be called a beach; it was simply a fortuitous place, dry and with plenty of large boulders on which to lay our packs and towels. I knew that we’d have to be cognizant of the tide or our belongings would get washed away. The Sport King paddled ahead, occasionally at an angle, quick to understand the nature of the waves breaking against them. I clumsily stroked in a straight line, only partly successful as I tried to duck under each curl of foam. They seemed to attack me mindlessly and I had a vision of the eternal hordes in fantasy novels. Pouring line upon line, unceasing. The Sport King reached the calm waters out beyond the break even as I struggled backwards and under, and backwards and forward, my arms burning and body twisting as I tried to make some headway. The muscles in my shoulders felt swollen and huge, and I tried to find comfort in the possibility of having a real physique from all of this. The Sport King straddled his board in the distance and it looked as if he was watching me for an eternity, but that wasn’t the case and he soon slid on his board past where I bobbed, cutting across the powdery water, a look of concentration tensing the muscles of his face. When he finished his wave, he quickly repeated the process, paddling past my floundering and into the quiet space. “This is absolutely great!” he yelled from afar. I nodded as best I could, my chin lapping into the water. When I arrived into the empty space of calm water — what the Sport King called “the silence” — my board suddenly seemed tiny and insubstantial, and I only then wondered idiotically if the poly styrofoam and fiberglass mix could really support my weight. The water seemed wider here, as if connected to the sky. I pulled my head back, water dripping from my nose and lips and squinted into the sunlight behind me. The water looked upside down, or maybe it was the sky. A rolling swell approached, lifting everything above the horizon. The Sport King was already sliding into position. I knew though that I would miss it, as I had missed so many opportunities by looking in the wrong place, or in the right place too late. There was nothing to do about it. I kicked towards the wave and ducked under as it cycled by, seeing a television screen of green and yellow static, until I broke through the surface and into the air once more. In William Finnegan’s brilliant memoir, Barbarian Days, A Surfing Life, an early chapter is called “Off Diamond Head.” He recounts stories of learning to surf and how to relate to both the locals and the waters surrounding Oahu. It seems to me that one often learns more in the process of looking backwards than in the present. In other words, meaning is found through reflection. On this work trip, I made sure to find time at the end of the days to explore other parts of the island. This included short excursions to places near Diamond Head, such as Halona Beach Cove and Kailua, and also the hidden, beautiful ————- Beach near the town of Haleiwa. In all these places, there is much and nothing to see. But the draw is always the water. The sheer number of waves, stacks and stacks it seemed, were awe-inspiring and also unusual to me. For the first time, I could see the difference between a beach with waves, and waves that would be worth searching out, waiting for. I stopped at a shop on the edges of Waikiki one evening and spoke to the owner, who recounted a story of learning to surf in the 1960’s as a kid. He told me of surfing with a friend who apparently violated some of the unwritten code among local surfers one day out on the waves in the lineup, or perhaps just in the parking lot. His friend ended up watching as one of the local boys took his surfboard and cracked it nearly in two with a few sharp, backward blows of an elbow before throwing it off a cliff. He remembered later being able to see the board from the ocean, splayed upon a ledge of high rocks like a sacrifice to gods below. It should not be surprising, any of this, as the Hawaiian islands and people are a culture in both literal and figurative terms. Interestingly, in the news before I arrived were stories of Hawaii’s population decreasing because it is increasingly too expensive to live there. One afternoon on the way back from meetings, and stuck in Honolulu’s traffic, I listened to a conversation on a local radio station with Larry Bertlemann, a man I had never heard of, but an apparent legend in Hawaii’s surfing scene in the 1970s and 80s. Larry took phone calls, including from friends he had not heard from in years, and pulled memories and details from 20 years prior. He spoke a surfing language peppered with a foreign vocabulary of lines and maneuvers, and spoke of connections to people and figures from the past as if the listeners were seated around a table telling stories at a funeral. When I heard the initial reports that a State Department employee had been killed in Afghanistan, I sighed. And when I read the name and what I felt was a thoughtful message from the Secretary, I did what I suspect many of us do these days: I looked up the officer’s name on Facebook, guessing that someone young and in a place like Afghanistan was bound to have an account, a presence, through which she would share her experiences with her friends. I clicked on her name, saw her face, and realized that I knew her. Or perhaps I didn’t know her, but only knew that I had seen her before. Seen her in the half-remembered days in-between my own assignments overseas. Seen her somewhere in the District or in Arlington at a ritualistic gathering of FSOs in a rented corporate apartment, drinks scattered on poorly made tables of blond wood or on pool furniture badly in need of new paint. Seen her from time among bottles of continually passed-on wine and bags of snacks from Trader Joe’s and vegetable dips from Whole Foods, or standing in line in cafeterias. What I knew as well were the rhythms of her life as a Foreign Service Officer, that we had likely shared the same locations (airports, baggage carousels, shuttle buses) and dislocations (first nights in strange lands, language struggles, loneliness). That is what I think I recognized. What I am certain I recognized was the smile, the aura of the under-30 crowd, the disarming ordinariness (as opposed to banality) and eagerness of our newest public servants. That aura seems to me the norm now at Foggy Bottom, and in much of the country, and it’s probably a sign of my age as much as an indication of the lure of Washington itself. The truth is I didn’t know her, and make all sorts of assumptions, but from the few pictures she had posted (that were too heartbreaking to look at closely), I felt that she enjoyed a good evening out at one of DC’s many ale houses, or on trips to far-off cities that had been made much closer by her job. And I saw too her own words beneath a posting, saying that she was looking forward to “shenanigans” when she was back in DC for training this coming July. Shenanigans. Perhaps best defined as the line between youth and one’s mid-30s. It was then that her death hit home, for she was also an officer in a position similar to one I had been in in the not too distant past. When, I recall, I rode in helicopters across contested valleys, and walked among both friends and probable enemies in markets and crowded spaces. When I entered a caravan noting the armored weight of the vehicle doors or felt the unsatisfying vibrations as we lifted off the ground from an airbase. When I thought daily, despite the importance and thrill of the work I was doing, about the moment I would come home. What was new for me today, reading of the sad incomplete events and seeing her face, was that I, at the ripe old age of 13 years in the Foreign Service, could have been the one who made the decision to send her on the assignment, a public school book donation project in a province away from the capital. I could have been the one to sit with her and other colleagues some days earlier to discuss the strategy, the visuals, the preparations and coordination with the local government. This is because I’ve become a manager as I’ve moved along my career, as is the custom in the Foreign Service, and it would have been my job to make daily assignments, to direct our support, and to mentor and advise newer colleagues, like her. This thought brought its own heaviness. And so this time, for me, it was not enough to post a brief Facebook comment, or only change my profile photo to the black ribbon that perhaps too easily replaces our true sorrow. I have been returning often of late to essays that seem to mock us about our shortened attention spans, our lost ability to write and speak in meaningful words, and our habit of ingesting bits of information and then moving on too quickly. But there are too many parallels in her death with my life. And more importantly, there are likely people I love, or have loved, or who I simply call friends, who are an arbitrary moment away from a tragedy like this. This young woman, this Foreign Service Officer, the whole of us, deserve just a little bit more reflection. It’s none too original to link the sound of jazz to an uber urban setting like the one here in São Paulo. In much the same way, the idea of a Sunday morning run in the city’s major park was less than unique, and shared by numerous others who arrived from various locales to Parque Iberapuera. Unlike path running along the Potomac, which tends to bore me with its ordered vistas, navigating the jigsaw of São Paulo’s streets provided an opportunity to get lost (I did) and discover small delights like a Sunday feria on a closed off street. The trilling notes of John Coltrane’s saxophone in this take on My Favorite Things match the sidewalks cracked by immense tree roots, the etchings of gravel beneath my shoes, and the scrape of pull-along shopping carts on the pavement. Even on an early Sunday morning here, it’s hectic just beneath the surface. SxSW 2012 from R S on Vimeo. initial, if slightly optimistic list of the shows I’d like to see over the next 5 days. 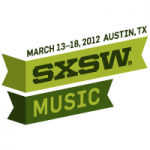 Bring it SxSW!